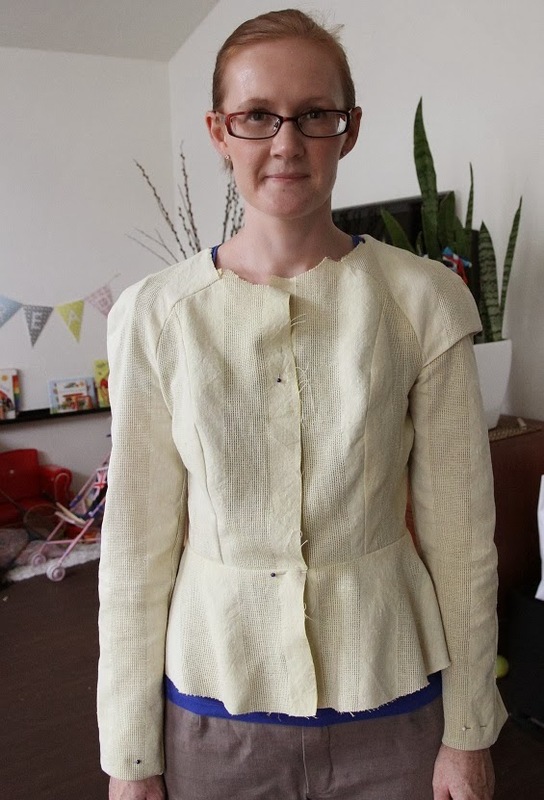 Sure the fabric is a boring cream colour, but it feels quite nice and I think the jacket has turned out to be a simple and lightweight jacket that I can wear over some of my more colourful summer dresses. I ended up letting out the seams a little because it was really tight when I wore it over various clothes which means I've got a bit of excess fabric appearing again at the back but there's no point wearing a supremely fitting jacket if you move as stiffly as a robot! I didn't have enough fabric left to re-cut the sleeves, so instead I just took in the sleeve seams slightly and let out the cap sleeve dart as much as I could to try to make that cap sleeve stand out more. For the front closure instead of doing a row of hooks and eyes I chose to use a zipper instead - I just thought that hooks and eye might slip open and they would be too fussy to do up. I found at Spotlight a lightweight separating zip in a cream colour that was perfect for this fabric. It looks like an invisible zip but the tape wouldn't roll over so I couldn't sew exactly next to the zip coils which means a little bit of the zipper tape is showing but it looks ok.
And because I was really really over it by the end I didn't even bother to line this jacket but I didn't make that decision until the very end so nor did I do any neat finishing of the internal seams like binding them or making French seams. The inside seams are fully overlocked so it's ok, but it's not a particularly professional finish on the inside I'm afraid! I particularly like how the belt makes the peplum bit stick out and gather a bit more, this jacket has quite a lovely shape really. Conclusion: a pretty good pattern - sure it needed a fair bit of fitting work to fit my very narrow, rounded and forward shoulders but it is a pretty simple pattern to sew, the sleeves are interesting and the waistline + peplum are quite flattering. If you're up for a possibly fiddly fitting experience I'd say go for it! Thank you to everyone for your feedback on how you best like comments addressed - the overwhelming answer was that you all appreciate a response but don't necessarily expect one. I've installed Disqus because it seems to be the most effective way of responding both here on the blog and by email to the poster directly - my apologies though because if you're not registered with Disqus you do need to enter an email address (which isn't visible though), but there's no annoying Captcha to try to decipher. Kezban please email me at Kristy_Idle "at" hotmail.com with your address and I'll post the pattern out to you. I think this Style Arc pattern would be perfect for a beginner sewist. Unfortunately it is $89/m - it is 135cm wide and it is Italian designer fabric. I need to really decide whether I'd wear this crazy pattern enough to justify spending that much money on it! At the risk of sounding like a belated Thanksgiving post, a huge thank you to everyone who offered fitting comments on the jacket in the last post. I don't usually post works in progress but now I realise how incredibly helpful it is to get perspectives and advice from fellow sewists. Fitting wise the jacket is looking pretty good, and it just needs a little further tweaking on the shoulder curve because it still sticks out a little. For those of you still contemplating whether to make this with or without the caps on the sleeve, I took a photo of both so you can see what it's like to help you decide. Apologies for the non-plussed look on my face - it's not the jacket at all but rather my husband who was the photographer for these photos and behaving like he had never used a camera before! Seriously, how hard it is to take a few photos? As you can see I need to do further work on the sleeves but the fit has improved greatly as I took in all the princess seams and side seams by 1cm which really helped not only with the excess fabric but also raised the underarm as predicted by Sharon. Firstly thanks to everyone who has chimed in with their 2c on the issue of responding to blog comments, of course there is no consensus on how to do but it's clear that everyone likes to get a reply! It's all very helpful so thank you. There are quite a few patterns I like in the February issue, but I was drawn to this one and I do like to use my Burda challenge projects to stretch my personal style sometimes. 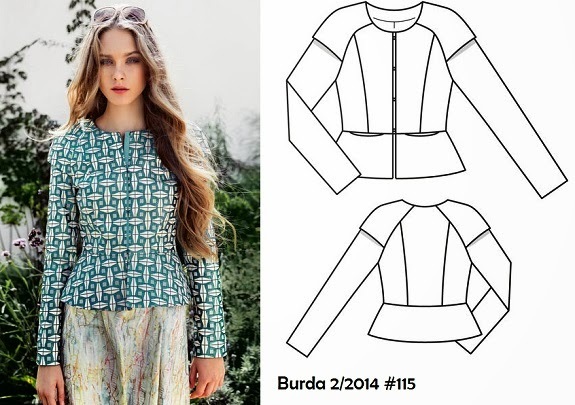 It's Burda 2/2014 #115 - described in the magazine as a structured peplum top although it does say to use jacket fabrics with some body so I'm planning to make it as a jacket. 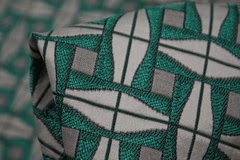 I think I'm love with the fabric they've used more than the pattern - that checkered jacquard in a teal, white and grey colourway is just divine. I made one side with the sleeve cap and one without, and I think it actually looks better with the sleeve cap which is the crazy bit of the pattern. I need to take in the curve of the sleeve seam at the shoulder because it sticks way out from my actual shoulder and do a forward shoulder adjustment because the outer seam of the sleeves are sitting too far back. At the back I need to take some excess fabric out from the sides under the arms, but I think the waist and the mild peplum looks quite fitted and flattering. That back view certainly makes my shoulders look as wide as an Olympic rower, but I think that taking in the outer sleeve seam will reduce that effect a bit. 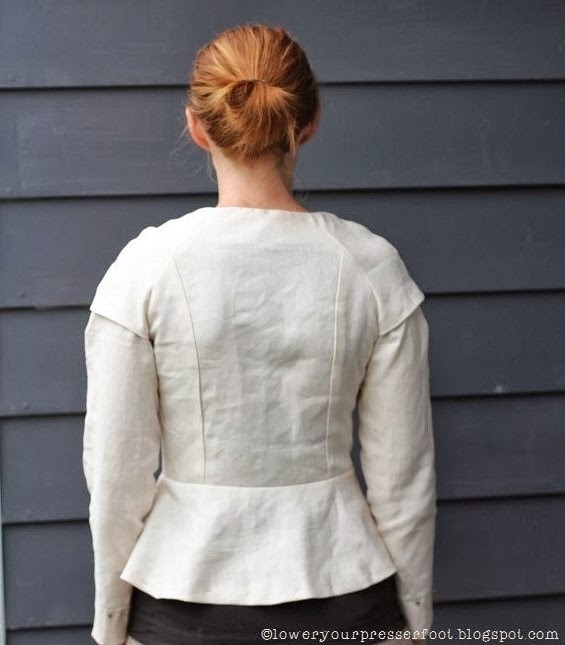 Despite the peplum this jacket doesn't use too much fabric, so I think I will go ahead and make it up because I certainly don't have a shortage of fabrics and the raglan style sleeves mean that this is a quick style to sew. I have a metallic silver heavy matte textured satin that's been waiting in the stash for a while to be used, and I think this might be it! Comments catch-up and Style Arc pattern give away! I have been terribly poor at responding to comments on the last few blog posts - my apologies to everyone who made the time to comment but at the moment it's hard to find the time or energy to do anything. I'm hoping our too hot for me weather passes soon and that my case of the blahs goes too! And I'm sure that many of you are hoping that your cold weather will soon pass too - isn't always the way that we want what someone else has? Anyway let's round up the comments that need responding and then I'll reward / bribe you with the offer of a Style Arc pattern! Thanks to all your lovely comments on Anna's birthday dress past and present - a cute little dress is a delight to sew. I'm going to be extremely honest here and admit that my first thoughts after delivering Anna were thank god that pain is over and ooh I have a little girl to sew for! (I didn't find out the gender before delivery so it was a genuine surprise). Thanks to Paola and others who answered the questions about when Aussie schoolkids start school - here in NSW kids only start school at the beginning of the school year (end of January), usually when they are 5 or will turn 5 before July. Anna was more than ready to go to school and being born in January made it an easy decision - it will be a more considered decision with Toby though since he was born in April and it'll depend on how he develops. I'm so flattered at all your amazing comments on this dress - it's really such a simple and uncomplicated dress but the fabric is beautiful and the style is very me so I guess that's why it works so well. I'm incredibly touched Kelly D that you find me an inspiration for your work wardrobe, and Gail thanks for the comparison to Veronika Maine - they are one of my favourite RTW sources for the rare times I purchase clothes and a constant source of snoop shopping too. I don't want to sound big headed here, but I think my version of this dress turned out better than the one photographed in the Burda magazine as well, so thanks to everyone who made the comment that my version made them take another look at the pattern. The lighter fabric I used and the extra width I added to the skirt made it hang far better than the thick rosette textured fabric Burda used in their version. Silvia (aka Sewing Princess) - I'm afraid I have no secrets to sewing invisible zips, just lots of practice I guess! I don't even use a special invisible zipper foot, I just use my normal zipper foot and my fingernails to uncoil the zip. I would love to be a guest at your lovely place, but sadly real life and distance gets in the way! Cheekychacha - I get my Burda magazines via a subscription directly with Burda, it's much cheaper and quicker than third party subscribers here in Australia and I generally receive the magazine in the same month it's issued. I've just received my renewal for this year and it's 90 euros (about $136 Australian dollars). The link for subscription is on the Burda Style website. So I think that concludes the comment responding I needed to do, which moves us nicely onto the good part of this post. Style Arc Lynne Skirt pattern giveway! Sandra, winner of the Tessuti gridlock competition last year and Pattern Reviewer extraordinaire, gave me the Lynne skirt pattern recently because somehow she had ended up with two versions. An elastic waist skirt is not really my style, so I've decided to offer it up here on my blog to whoever wants it. This could be your chance to try out the fabulous Style Arc patterns if you haven't already or just add to your Style Arc collection. The pattern is a size 8 though - the Style Arc patterns are a single size pattern, and their sizing chart is here. check back to the post to see if the blogger has replied to your comments? Not at all or only if you've asked a question? like to see them addressed and answered in the next blog post? Does captcha annoy you more than having to enter your name and email address like for Disqus commenting? Even if you don't want this pattern I'd love to hear from you! 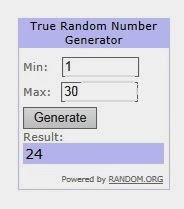 I'll give this one a week, and do a random draw next Sunday night, 16 February. Anna was peering over my shoulder looking at my blog and demanded to know why I hadn't posted her birthday dress yet, so here it is! I had completely forgotten to post it since I made it last year before Christmas and I gave it to her while we were on holidays so it got lost in all the activity that's been going on lately. 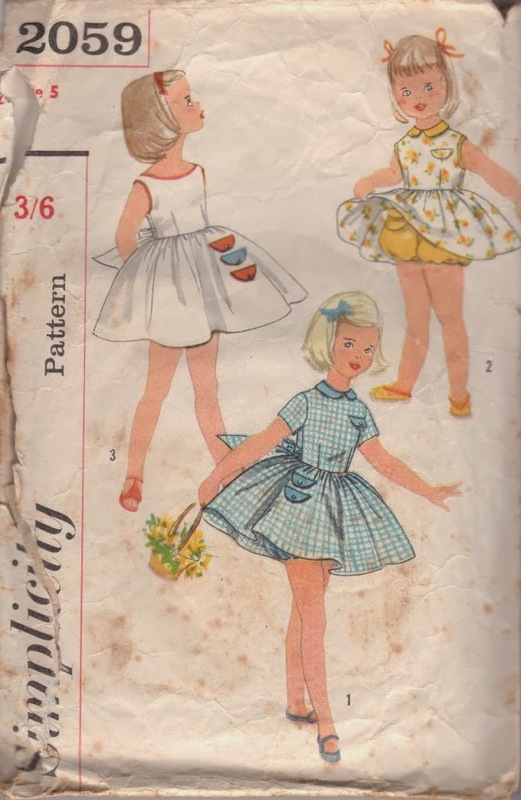 I used a vintage Simplicity pattern (Simplicity 2059), although I greatly increased the length of the skirt because Anna is a such a beanpole and the pattern was designed to be short in the way that vintage little kids clothes used to be, worn over bloomers. Looking at this photo I can see I probably added too much length but that's easy fixed (when it gets done is another story altogether!). The fabrics came from the stash, a white cotton eyelet which funnily enough made a small appearance on last year's birthday day dress, underlined in a bright pink cotton. Because the fabric became rather thick with the eyelet underlined with cotton I decided to make the skirt with wide pleats rather than gathers. I also decided to make a separate sash to use as a tie on belt rather than short ones sewn into the side seam so that the pink belt would break up the whiteness of the dress all the way around. I also did the peter pan collar in the pink fabric to make it stand out. And of course her little brother had to get in on the act, although he's not wearing any clothes I've made him. Since it was 46 deg. that day when we were in Queensland visiting the in laws it was actually quite sensible to get around in very little. And the other thing that happens to Aussie kids when they turn 5 or thereabouts is that they start school! A big yippee from me that the big day finally came last week, because Anna has been so excited about going to big school, asking endless questions and trying on her school uniform over and over again. The big day came and went with no tears from either of us - I'm just so proud of her that she's starting this new chapter in her life with a positive, happy attitude. Of course it helps that she loves her school uniform which is a very fine red and white stripe that almost looks pink. And finally thank you to everyone on the wonderful comments to my dress in the last post - clearly it's a winner. I've already worn it to work two weeks in a row which I don't usually do since I have so many dresses and only work 3 days a week at the moment, but it's currently my firm favourite.